One of Mitt Romney’s harshest critics is a member of his own party. Rupert Murdoch has made no effort to hide his dissatisfaction with the Republican Party’s presumptive presidential nominee. The media mogul, who also loves to tweet, continues to use his new favorite platform to slam Romney. His latest hit on Mitt referred to the former Massachusetts governor’s weak reaction to President Obama’s executive action on deportations, but also a criticism of his overall campaign approach. “Met Romney last week. Tough O Chicago pros will be hard to beat unless he drops old friends and hires some real pros. 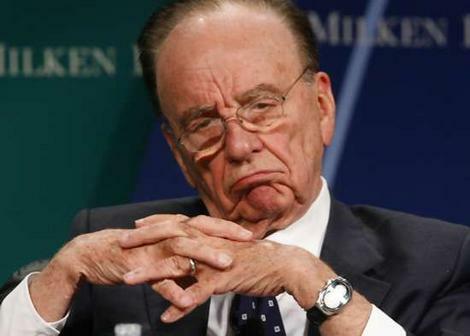 Doubtful.” Murdoch, along with other prominent business leaders like New York City Mayor Mike Bloomberg and others, has advocated for the economic benefits of immigration reform. This entry was posted on July 2nd 2012 at 5:16pm/17:16 and is filed under Live News Column 1, Politics. You can follow any responses to this entry through the RSS 2.0 feed.